Huge selection of Muslim men and women, from all parts of the world. This Cupid Media site has a reliable platform, and generously allows free members to communicate. Lots of profiles empty, lacking photos, platinum upgrade required for stuff like the translator tool. Most members report a good user experience, Muslima.com being the biggest dedicated marriage website for Muslim singles offers a huge choice of services, all within a simple interface. 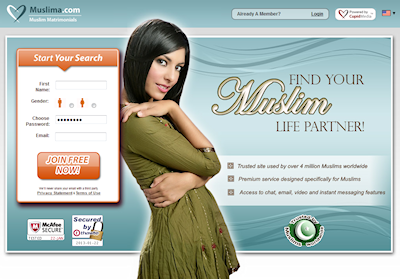 Cupid Media, the site owner outperform others in this niche, and consistely delivers on their promise of matching more Muslims than any other dating service. uslima is a hugely popular web site for single Muslim men and women who are seeking a marital partner. The site appeals to both young and old, and has numerous features that make it simple to get know and connect with people in your area quickly. Joining is free of charge. 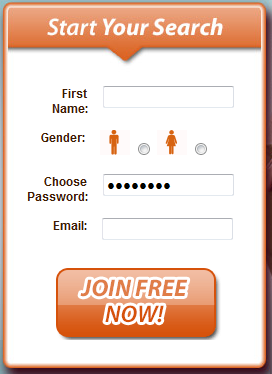 The site is definitely more geared toward those looking for marriage, but can offer visitors platonic friendships, too. Being in the niche “ethnic dating” category, this is a site designed for Muslims, however its large pool of members does include all nationalities and background. With a platinum membership, which is the highest level, you can do live video messaging and voice mail. There are also features that allow you to search for prospective mates by hobby or interest, so that you can find people with whom you are more likely to be compatible. Muslima is a great resource for people looking for others of the Islamic faith. And, this type of dating and matchmaking has become very popular and accepted in the Muslim culture. As the Muslim population becomes more widespread across the world, it only stands to reason that those wishing to find others of their faith would turn to sites like this for connection. They do have many satisfied users, with many marriages reported in their testimonials, as well as offering all the features you would find on larger and better known dating services.